“Wow, the story of my family is really the story of Minnesota,” I proudly thought to myself. With a collection of family stories regarding farming in southern Minnesota, logging in northeastern Minnesota, and some of the first women to graduate from the University of Minnesota, the Lovrien family history portrayed Minnesota’s past in a storybook style. As an individual studying history and journalism, I quickly saw a large flaw in presenting history this way: I did not include my ancestors’ role in oppressing Native Americans. The loss of land and subsequent warfare aimed at Native Americans completely corresponds with the westward migration by my ancestors. When farming during the summer wasn’t enough, agriculturalists moved north to log during the winters. I was told, “Dad couldn’t make money on the farm in the winter. He couldn’t work here in the winter. So he would go up in the woods, up in the North, and work there.” The efforts of early settlers to homestead every inch of what is now Minnesota forced Native Americans off the land they had held for thousands of years preceding. When Native Americans fought for their land, the United States government fought to suppress them. The original settlers in my family joined the US’ efforts and were unfortunately praised in their obituaries for doing so; however, their children and grandchildren realized these faults and denounced these actions. Luckily, my dad does not withhold this rather troubling information as he realizes most people will choose to forget and push the disturbing history behind them. 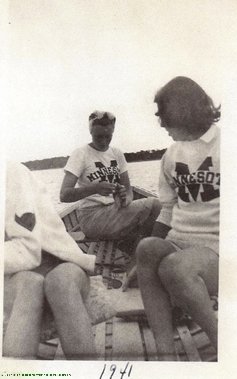 Prior to my research, I knew my grandmother had attended the University of Minnesota in the ’40s, an unusual feat for women at this time. Through discussion with my dad, I also learned my great-grandmother and several of her sisters attended college in the 1910s and early 1920s, even more remarkable for the time. The expectation at the time was for women to marry; if they pursued college, this was usually faced opposition by males. In a 1924 New York Times article entitled “Why They Quit School,” the University of Minnesota registrar stated “it’s a ‘fallacy’ to believe that young women, even while they are striving for an education, do not constantly have matrimony as an object in mind”- exhibiting the perceptions held against women in college. On my maternal side of the family, my grandparents did not receive any college education. Because the expectation to attend college was absent, my mother and her siblings had to forge their own means of pursuing higher education. Although my mom is not the eldest sister, she was the first female in her family to earn a four-year degree. This opened the door for her younger sisters and inspired them to do the same. 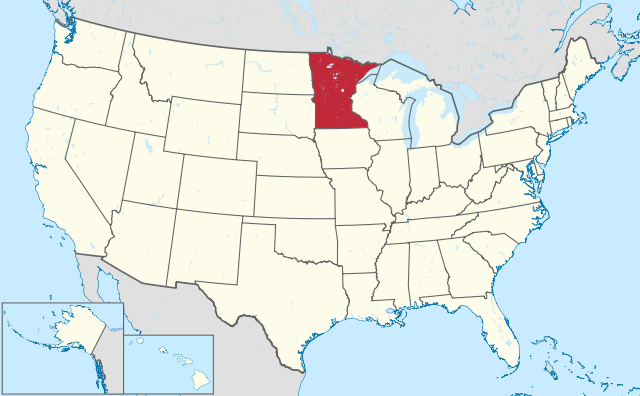 While I was born and raised in Minnesota, my family does not go back that far in the area. It’s always interesting to hear about families that have been here for awhile. Also, they say that history is written by the winners, so we can understand why Native American oppression is often left out. However, it’s a good thing to be able to critically examine our history, good and bad. You have a very incredibly story to share about your family history. I think not only do you do a great job relaying this information, but analyzing the actions that took place in society throughout your family’s history. I really appreciate how your noted how your family’s history had an influence on Native Americans. I think this is important to note and be aware of, being that if we continue to be ignorant of the facts, it does not help make the present more united. I also enjoyed hearing about how some of the women in your family’s past were able to overcome societies pressures about women not pursing higher education. I think examples like that are what give women hope to continue the fight for equal rights. Thank you for sharing your story! So one question, which generation in your family fought the Native Americans? I actually just had a discussion about my grandma’s college experience, and why she didn’t finish. It was a greater desire to pursue boys than degrees, that ended her time at college. She was one of the girls to climb out the windows, break curfew, and go dancing. While your grandma seemed intent on breaking the stereotype, mine seemed absolutely fine about upholding it. While she is proud of my academic achievements, and career path, hints have been dropped that I should be out looking for a man. Katy makes a good point that many women were content following stereotypes regarding education. My grandmother was the same as she dropped out of college to have children after getting married. When we talk about stereotypes today, we often focus on how oppressive they are. However, in the past fewer people considered them oppressive and accepted them as the norm. My grandmother, for example, was fine with following the stereotype and has no regrets about dropping out of college. I really enjoyed reading about your family’s history! I especially liked that you critically assessed the story and realized a piece was missing (Native American oppression). That’s a great skill to have! I also liked learning about your grandmother and her quest to become an educated collegiate woman! It’s inspirational! Great writing! This is very interesting and something that is great that you could share. I live way up north here in Minnesota and know that it is true the winters are brutal. Which you do not farm much once winter hits. I like how though you could find this out from family. It was really interesting learning about your family’s history in Minnesota. They seemed to take part in almost every aspect of Minnesota’s history. While the good did go with the bad I think that it is extremely important and aspiring that your dad chooses to recognize that part of your families history. While we can’t change the past it is important to recognize that it happened and move forward into the future. Good article. I enjoyed reading your family’s history. I especially liked how you connected your family’s history to what happened in the past, for instance, when you talked about how it was unusual for women to go to school the time your grandmother went to school. It is always great to know about our past because it helps us connect events and some things that happen in our lives.Thanks for sharing!!! I love reading about people family history, and your post is really good! When I researched my family history I found out a lot of things. One thing was my grandfather on my mothers side was a golfer and basketball player for the university of Minnesota. He was also the first person in my family to go to college thought he did not earn a degree. I am looking to become the first person in my family to earn a four year degree. I think it’s awesome how much research you put into finding out your family history. And the fact you went more in depth with it to compare then and now. Very cool research and well put thought! I loved reading the history of your family and how you went in depth with women education on your grandmothers. It is also very interesting to read that your family generations have been in Minnesota since the 1920’s. That’s along time but it also makes Minnesota very important to your family. Thank you for sharing your story! Thank you for sharing! I also have to do a project on my family history and this story has helped inspire me in doing so! The impact that your mother had on her younger sisters was very neat. We are all inspired by something! Good article Jimmy. I found it very interesting how you talked about the Native Americans and how they definitely made an impact on the westward migration of America. I also liked your piece on your family members attending the University of Minnesota. It was very interesting!! I have heard the phrase “history is written by the winner,” and in this, the “less appealing” action are dismissed. We only hear of the positives but history is not one sided, and to address that takes courage. Thank you for recognizing that. Thank you for sharing! It was very interesting to learn about your family. I loved reading about your family attending the University of Minnesota because both my parents graduated from there. Great article! Nice work here Jimmy, you made some awesome social connections outside of the direct history of your family members. I think it’s really cool how women on both sides of your family, although at different points in history, have had a role in changing familial expectations of attending college for those to follow. I always love reading about family history. I appreciate that you recognized how your family contributed to the oppression of Native Americans, yet it didn’t stop you from being proud of other aspects of your family’s successes. I thought it was very interesting how you showed both sides of your family when it came to education amongst the woman. By sharing both sides of that story, show two very different histories during that period. Not only does add more dynamics to history, but shows that history isn’t the same for everyone even if you’re in the same area. History is about telling a story and I think you did it splendidly. Thank you for sharing! Awesome story man! You come from a great family and it shows! I really like how you acknowledge the oppression of Native Americans. I also like what your dad said about people choosing to forget the disturbing parts of history. GDR at 4:30? I am a big fan of the gophers! My grandpa and great uncle played football for them in the late 40’s. Also it is hard to come to terms with the way our ancestors settled in this country, many people had to be displaced. It makes you wonder were my ancestors really bad people? only history can really sum up the significance and sentiment of their actions. Thank you for sharing your family’s story. I think that putting our own history and that of our family’s in the same lens as the general history of our hometowns, without looking at history narrowly, we are able obtain sincere conciliatory interpretations of the past such as your. Thanks Jimmy for sharing a brief history of your family from MN. In many ways college has become the norm for the middle class in todays society and its important to not forget how many were not able to attend and especially women in the past. Learning about our societies past is also important when it comes to the United States taking over Native American’s land. However this phenomenon is nothing new as many Native Americans did just this to rivaling tribes through war, slavery, and assimilation. This was a great article about your family. It’s always very interesting to hear what other people find out about the way they got to Minnesota. The part of the U was awesome too because pretty much everyone in Minnesota knows what that is and has a little connection to it. Very cool to do research and discover your families history! You’ve inspired me to do exactly that when I go home in a few weeks! Thanks for sharing and I enjoyed reading this article. I really liked reading about your family. I also really admire how you went on to put yourself in the shoes of the Native Americans. Great Job! I really enjoyed reading about your family history and also the different stories. I like this because it shows that everyone’s family is different and their is a story to be told from each family. And you made me want to do this when I go home this week. When discussing family histories, we tend to leave out the bad. I applaud you for acknowledging and accepting that oppression against Native Americans did happen at a time in your family history. Great story! I like the angle you took when you decided to write about some of your ancestor’s mistakes and to follow it up with their triumphs. No one’s history record is ever a clean slate and sometimes those mistakes help mold future generations into making wiser decisions. I have read this story I think two or three times because I love it that much. Many people would never write a bad thing about their families past and I appreciate your bravery! Family stories can be very inspiring! I hope when doing my research I come across something as inspiring as you did. Thank you for sharing. I think going to college is a really great thing, it can change generations and it seems like more and more people are starting to goto college. That can shape a way a family is built. It is nice to see your family’s (and hope fully other’s) change in attitude about issues of gender and oppression. This gives me hope that in the next three generations the issues we have today will also be greatly pacified. It is interesting to see that women in the 40’s had a higher rate of college attendance than in the 50’s. I think WWII and the return of the soldiers had a lot to do with that. Thanks for sharing your family history. I hope all is well! I’m glad you had the opportunity do dive into your family’s history. I am also glad you noted that the success of your family was unfortunately built on the exploitation of Native Americans. I think it’s very important for “the winners” to acknowledge their history, even if it is painful. It’s so cool that your great grandmother was in college in the 1910s! It’s crazy how much gender roles change within just a few generations. I find your original perception of your family’s history to be very interesting. I think that it is common for people to only see the positives or benefits from the history of the United States. From my personal experience growing up and attending school in Minnesota, this seemed to be the only history I was taught. It wasn’t until late high school that I began to learn about the oppression of the natives that were here long before us. I think that a key takeaway from this is that it is always important to learn about both the positives and negatives of history so that we can be more aware of the impact of our ancestors and of our own impact. Thanks for sharing!